I’m getting ready to be a volunteer judge for the local science fair. I’m communicating with not only the school’s science fair coordinator, but with a couple of student ambassadors who have been assigned to make sure the judges know what to expect and have all the materials they need. It’s been fun seeing the student packet and how they can leverage technology. 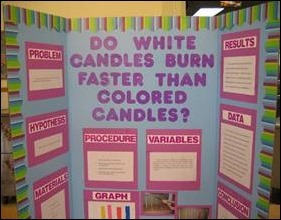 This year they’re even offering a “virtual science fair” where submissions can be entered via electronic presentations rather than on the time-honored table display. This is the same school where I’ve spoken at Career Day in the past. It’s always fun to see young people embrace technology when I spend a good chunk of my time helping physicians who are fighting it tooth and nail. I just hope they’re teaching the students how to use technology responsibly because some of my hospital co-workers seem to be challenged by it. I’m still amazed by the number of people who haven’t yet mastered the art of the blind carbon copy, not to mention restraint where “reply all” is concerned. Those elements are just basic workplace standards, but workplace use of social media is another thing entirely. Sharing your life with co-workers on Facebook shouldn’t be taken lightly. I’m not a heavy Facebook user, but I do have an account since it’s an easy way to keep up with college and med school friends. It’s tempting to accept friend requests from people at work. Usually I accept them since I don’t have anything to hide and it’s unlikely I’ll be posting any wild and crazy party pictures that could haunt me down the line. Even as a casual user, though, there is a fair amount of content that builds up over a couple of years. I hadn’t really thought much about it until one of my colleagues started mentioning random things to me. They seemed familiar, but I couldn’t really place them. I have to admit it was a little unnerving since I wasn’t making the connection. Finally, after a couple of weeks of this, he mentioned seeing something I posted on Facebook. It all made sense. This guy had completely stalked me on Facebook, reading everything I had ever posted and making note of everything I had “liked” for the last several years. In addition to making me feel completely creeped-out, it made me think a lot about my social media footprint. I don’t accept friend requests from patients, although any patient who tries to friend me will get a friend request from our office’s account instead so that we’re not ignoring them. I have my security settings pretty narrow and I don’t post overly-personal information. Still, one could look at the pattern of comments and likes and end up putting together a profile that really doesn’t fit me at all. There are also the privacy concerns about companies like Facebook capturing our browsing patterns and selling that data and a host of other scary situations. Their ability to peer into our lives is limited by the power of their algorithms and the data they had to work with. On the flip side, there are companies that we willingly provide a host of personal data to that can’t seem to present useful information. I receive weekly emails from a couple of job-hunting type sites, and despite my building a fairly decent profile, they still send me junk. The only one that remotely fit my profile was for an emergency department locum tenens position. I’m thinking that either their algorithm has gone haywire or it just can’t handle the chaotic scope of keywords a CMIO might have on her resume. It makes me want to think twice about the ways we process big data for patient care and whether we have enough measures in place to flag whether trouble is brewing. On the other hand, if our HR department uses anything like what this website is using, it might go a long way to help explain why we have such a difficult time finding qualified candidates for some of our open positions. Do you have concerns about social media or analytics gone wild? Email me.